Policy&Practice has had a productive year. Projects have been completed for the National Lottery in an evaluation of a project in the Our Bright Future programme, the evaluation of a National Youth Agency project for The Money Advice Service and a project on how to work with the third sector for the Economic and Social Research Council. And new projects have started for Power to Change, Community Foundation Tyne & Wear and Northumberland, and Auckland Castle Trust. Several more reports have been published this year from the Third Sector Trends study – which will start its fifth round of surveys in 2018 – representing over ten years of intensive study. Two studies were published with IPPR North with groundbreaking data on the contribution of business to the third sector and on the value of volunteering to local charities. A study was also published on community business as a prelude for more intensive research in 2019 for Power to Change. The Third Sector Trends project, which covers the whole of the North of England has become increasingly influential on thinking about how best to support and fund charities in the North. 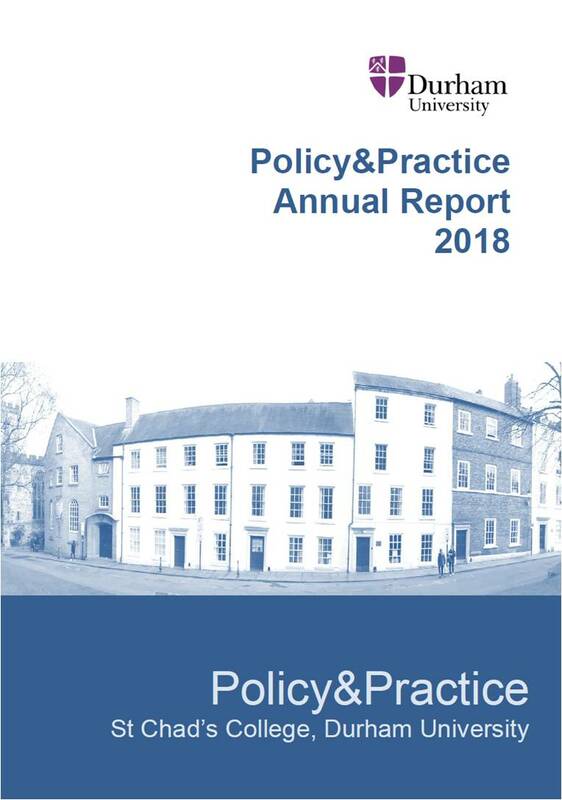 Policy&Practice has also continued to organise and host events across the North East of England with the Institute for Local Governance, including seminars on arts and heritage, community business, social isolation, the future of town centres, amongst other things.